Although there are many different ways that insurance companies may have written your policy, here is the way we have found most insurance companies handle homeowner roofing damage claims. The homeowner is the only person that can make a claim against their insurance company for roof damage. So if you are the homeowner, this responsibility falls on you. Most insurance adjusters will send out an insurance adjuster to verify the damage done to the roof. They will also probably measure the roof and count the layers of the existing roofing system. All hail damaged flashing will also be paid for by the insurance company. Does Insurance Cover My Roof Replacement? 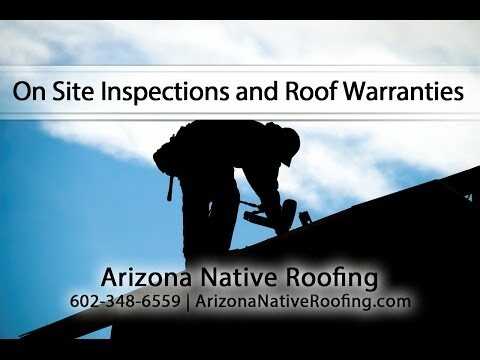 At Arizona Native Roofing, we provide a variety of roofing services in Peoria and surrounding cities throughout the Valley. Whether you are in need of a new roof, or your roof needs to be repaired, Arizona Native Roofing works with all types of homeowners insurance to provide you with the best roofing services possible. We provide roof replacements for residential homes as well as commercial roof applications all throughout the Phoenix Valley, including Peoria, Scottsdale, Tempe, Ahwatukee, Glendale, Cave Creek, and Fountain Hills. Contact our top rated Peoria roofers today for more information. During the monsoon season in Arizona, it is important to get a roof inspection after a storm. Although some of our storms aren’t the most harmful, they can still sometimes damage your roof. Even if there isn’t any obvious damage done to your roof, it’s still smart to have a Peoria roof inspection done to ensure that there is no lasting or potentially hazardous damage to your roof. Consult with our roof inspectors today to schedule a roof inspection. If your roof does happen to have lots of damage done to it, Arizona Native Roofing provides emergency roof repairs near Phoenix after storm damage occurs to your home. This is an important service we provide because in the midst of a storm, there could be expensive and potentially irreparable damage done to your home in the event of a faulty roof. We offer the best emergency roof repairs in the Phoenix metropolitan area to make sure your home remains protected against the elements. Although hail isn’t typically a problem in Arizona, it still happens from time to time, along with strong winds that can rip shingles away and leave your home exposed. At Arizona Native Roofing, we have qualified roof repair contractors who can repair hail and wind damaged roofs all throughout the Phoenix area. Consult with our top rated roofing contractors today to find out more about the variety of roof repair and emergency roofing services we offer. How Much Does The Homeowner Have To Pay? On most insurance policies the homeowner only has to pay the deductible. This usually is either a $500.00 or a $1000.00 deductible although this varies per policy. The most common way Arizona insurance pays for the damage is by two checks. The first check is the value of your roof as of today after the deprecation if taken out. The deprecation is figured by the age of the roof. After this is determined the deductible is taken from this first check. After figuring in the square footage of damage to the roofing system, the insurance adjuster will calculate the cost using a standard unit cost for each layer of material needing to be removed, all damaged flashing, and the cost to replace your roof with the same material that was damaged. Most often, a Peoria roofing company estimate will be almost the same price as your insurance adjusters’ price. This is because the insurance companies use the same procedures for figuring out the cost that we do. This is a standard, and effective, method for determining the cost of damage repairs to residential and commercial roofing systems. On most insurance policies the homeowner only has to pay the deductible. This usually is either a $500.00 or a $1000.00 deductible although this varies per policy. It’s important to know the specifics of your policy before you get roof repair from Arizona Native Roofing. Many homeowners try to save paying the deductible by getting several estimates. Although this is what many people think, the insurance company will not pay the total amount of the second check until they receive an invoice from a licensed Paradise Valley AZ roofing company. The insurance company requires a licensed contractor to do the work before they will pay the second check. They will also send this licensed contractor a 1099 for tax reporting purposes. Picking the wrong contractor to install your new roof could result in your insurance company denying responsibility for damages to your roof, house, and any personal items damaged due to the improper installation. Will My Insurance Pay For A Replacement Or Just A Repair? Arizona Native Roofing is dedicated to providing the best roofing services in the Phoenix area. If your home is in need of a repair or a replacement, and you aren’t sure if your insurance will cover the cost, we can help. We strongly recommend that you speak with your insurance provider to learn about your coverage, deductibles, and any other factor that will play into the cost of the Phoenix roof repair or replacement. And we are always willing to help with this process so you get the very best services from us. As a locally owned and operated family roofing company near Phoenix, we have a diligent staff of roofers with over 19 years of experience in the industry. We pride ourselves in our competitive pricing, quality workmanship, and our ability to provide the best roofing services with honesty and integrity. 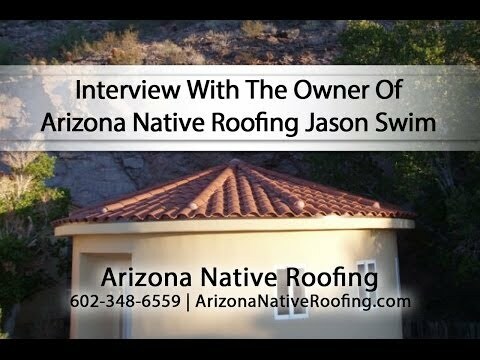 Contact Arizona Native Roofing today for more information.